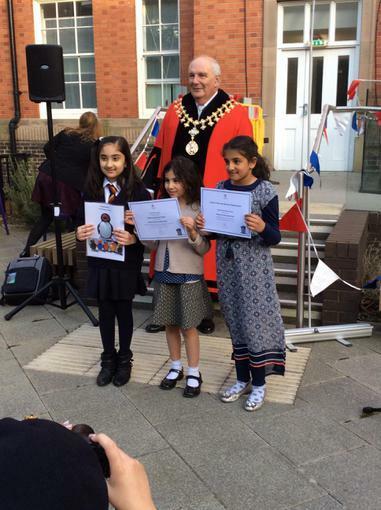 Great Achievement! 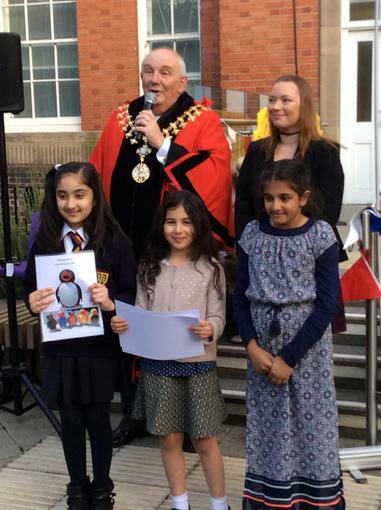 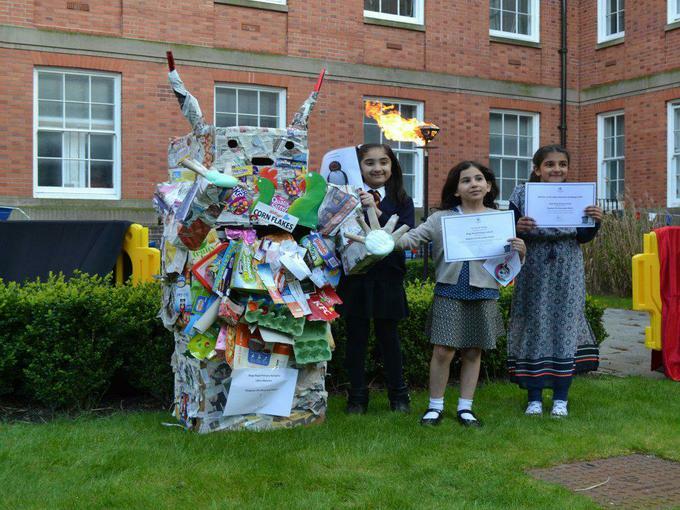 Our school won the Trafford Town Hall Beacon Lighting and Litter Monster Competition. 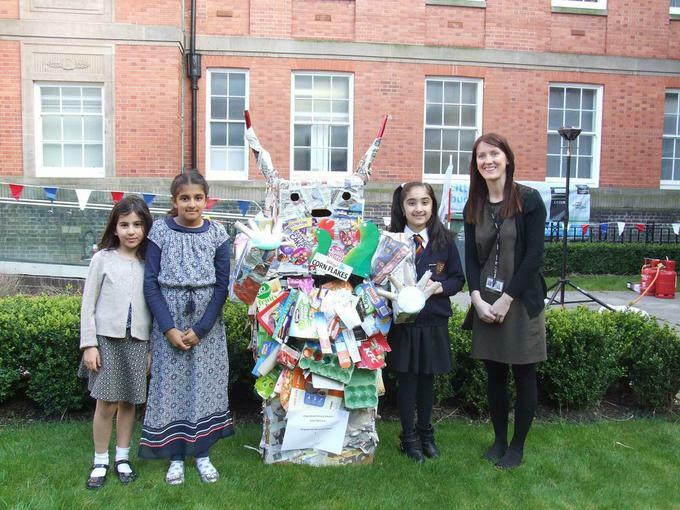 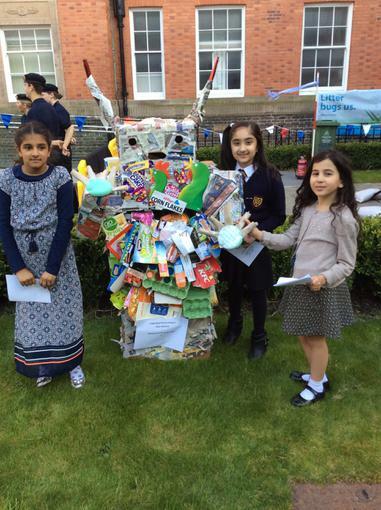 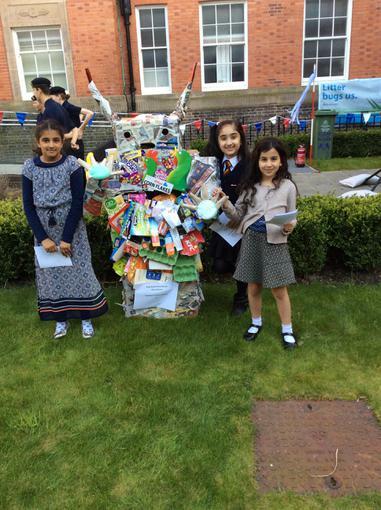 Our ‘Kingston the Recyclable Robot’ made of 100% recyclable materials won! 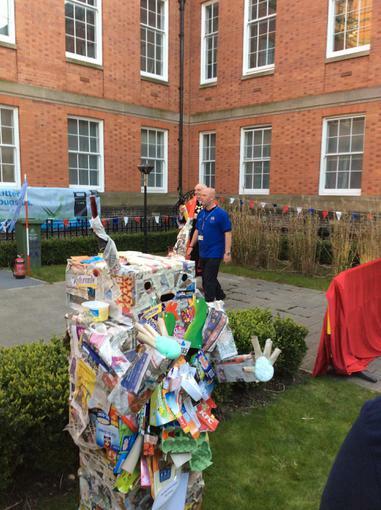 This is part of the ‘Clean for the Queen’ events across the UK.